Officers recovered drugs, cash and firearms in the raid. 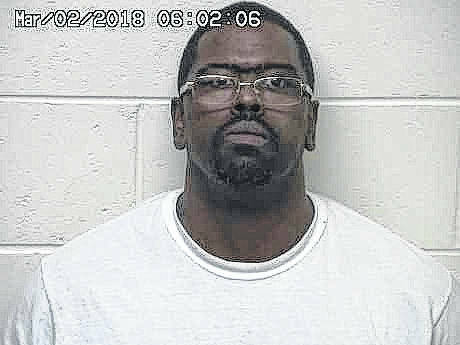 Three Portsmouth residents were arraigned Friday on drug charges after the Southern Ohio Drug Task Force, alongside the Scioto County Sheriff’s Office, carried out a search of 2634 Ritchie Street. The occupant of the residence, Jennifer Dixon-Greer, 36, was arrested at the scene, along with Thornton Howard Taylor, 46, and Tariq Barklea Taylor, 18, both of 1918 High Street. The trio was charged with trafficking and possession of suspected heroin, both felonies of the first degree. 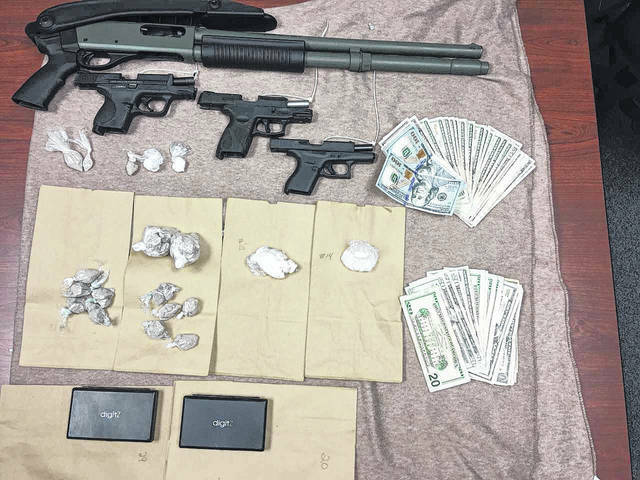 Upon a search of the residence and property, law enforcement officers seized approximately 155 grams of suspected heroin, 29 grams of suspected crack cocaine, 24 grams of suspected crystal methamphetamine, aka ice, a suspected Oxycodone pill, four firearms, digital scales and $2,760 in cash. The suspected drugs seized had an estimated street value of $22,000. Additionally, Thornton Taylor was charged with having a weapon while under disability, a felony of the third degree. 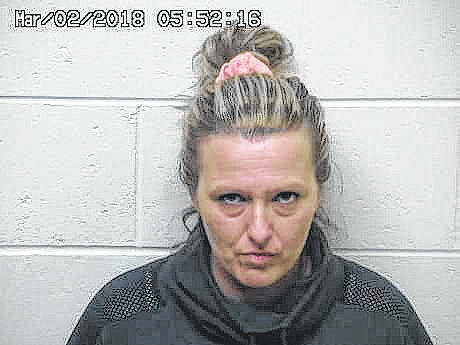 All arrestees were placed in the Scioto County Jail and were arraigned in Portsmouth Municipal Court, where a holder was placed on Thornton Taylor by the Scioto County Common Pleas Court Adult Probation Department. 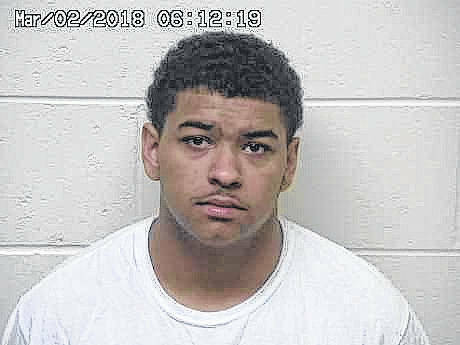 The case remains under investigation, and will eventually be forwarded to the Scioto County Prosecutor’s Office to be presented to a Scioto County Grand Jury for the consideration of additional felony charges. Sheriff Marty Donini and Portsmouth Police Chief Rob Ware thanked the efforts of tactical medics with the Portsmouth Fire Department for their assistance with the warrant execution.